Colorectal cancer is the third most common cancer and second leading cause of cancer death in the U.S., according to the Centers for Disease Control and Prevention. However, it is also one of the most preventable cancers. 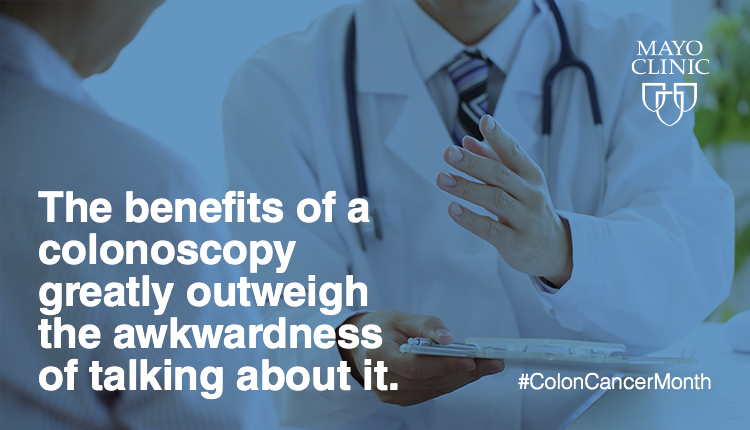 This time last year, Mayo Clinic live-streamed a colonoscopy to increase awareness about colorectal cancer screening and show how simple this life-saving procedure can be. Here’s Dennis Douda's report which originally aired March 1, 2016. Journalists: Broadcast-quality video (2:04) is in the downloads. Read the script.